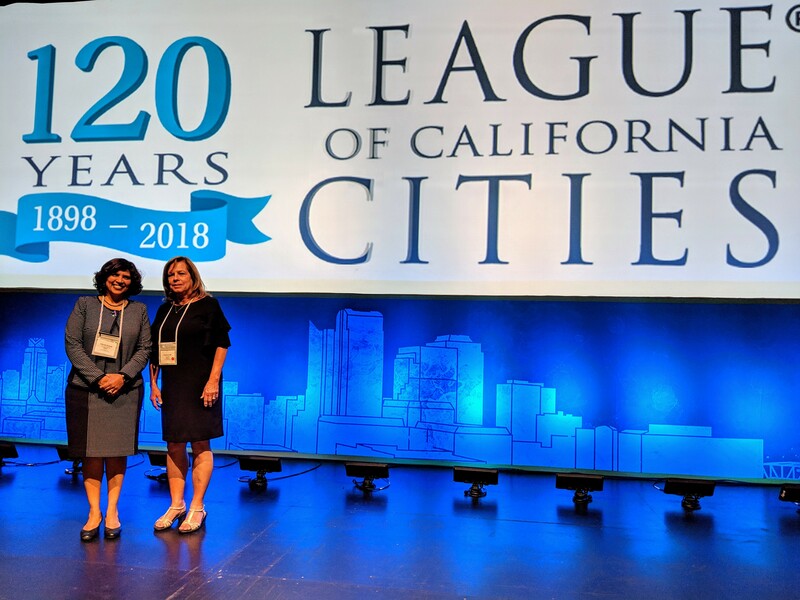 The City of Milpitas was honored for its innovative and effective Workforce Development Initiative with the Helen Putnam Award for Excellence during the 2018 League of California Cities annual conference this month. The Milpitas Workforce Development Initiative connects non-profits, schools, and manufacturing companies with the goal of strengthening the city’s workforce. The Helen Putnam Award for Excellence recognizes and promotes outstanding efforts and innovative solutions by city governments. The award was presented during the League’s annual conference in Long Beach on Wednesday, September 12. 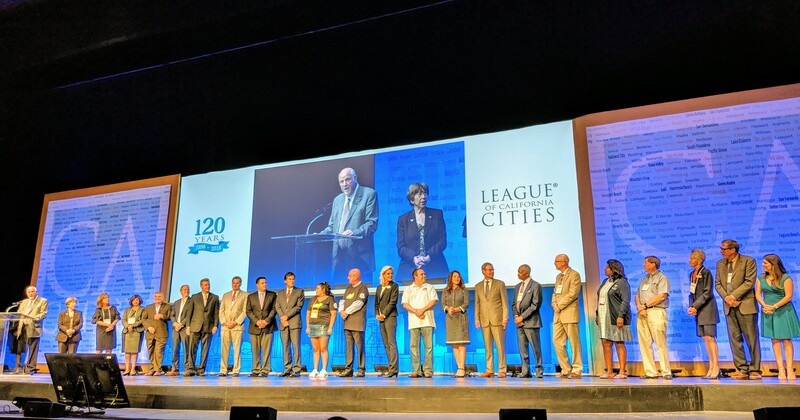 The League awards program in twelve categories, and Milpitas won for the category of Community Services and Economic Development. “We are immensely honored by this statewide recognition,” said Milpitas Vice Mayor Marsha Grilli who accepted the award on behalf of the City of Milpitas. In response, the City of Milpitas created its Workforce Development Initiative to address the employment gap by connecting youth to local manufacturing employers. The program started in 2016 in partnership with the Milpitas Unified School District; Evergreen Valley College; Flex Ltd, local manufacturing company; and NextFlex, an electronics-related institute. It expanded in 2017 with the participation from KLA-Tencor Corporation and Cordis, two other local manufacturers. Throughout the program, teams of students are matched with local mentors who help them achieve project milestones, develop product ideas and business models, and promote active engagement with the professional workforce. The student teams make a five-minute “shark tank-style” pitch where they present their ideas to a panel of business representatives. Students also receive tours of manufacturing facilities, information about opportunities such as paid summer internships, and financial counseling, and they earn three college credits from Evergreen when they complete the program. Students who participated in the program agreed it was well worth their time. They became much more aware of local manufacturing job opportunities, and they learned that manufacturing provides careers that are interesting and rewarding. “By connecting youth to employers, Milpitas is committed to economic resilience that will benefit businesses and residents,” said Milpitas Mayor Rich Tran. “Our goal is to advance long-term economic vitality by providing more opportunities through training services and internships to students who want to develop their interests and skills for advanced manufacturing.